The review article “A perspective on the physical, mechanical and biological specifications of bioinks and the development of functional tissues in 3D bioprinting” authored by CELLINK’s scientists Dr. Hector Martinez and Dr. Patrick Thayer in collaboration with world-renowned key opinion leaders in the fields of Biomaterials (Prof. David Williams at Wake Forest Institute of Regenerative Medicine, USA) and Tissue Engineering and 3D Bioprinting (Prof. Ali Khademhosseini at University of California-Los Angeles, USA) was recently published in the peer-reviewed Bioprinting journal. 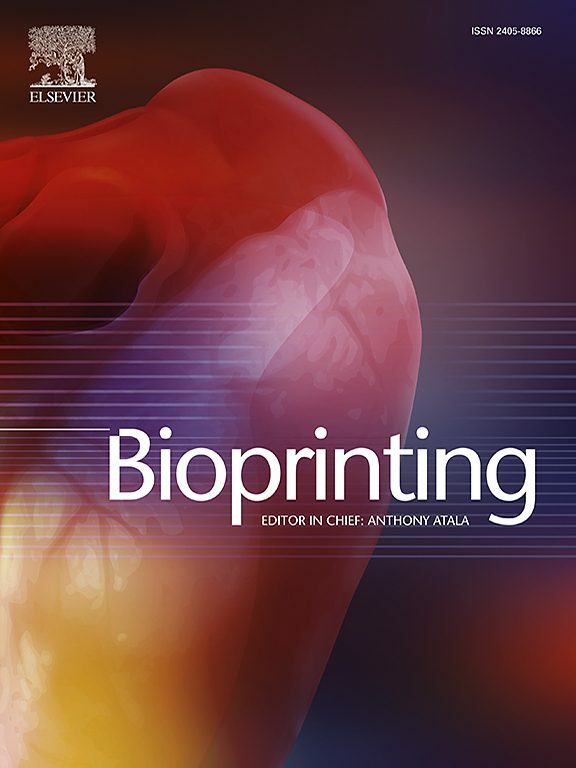 Bioprinting is a broad-spectrum, multidisciplinary journal that covers all aspects of 3D fabrication technology involving biological tissues, organs, and cells for medical and biotechnology applications. Dr. Anthony Atala at Wake Forest Institute of Regenerative Medicine is Editor-in-Chief. This review article is first in its class to identify the current state of the art in bioinks and propose their classification based on their ultimate role in a 3D bioprinted construct, such as imparting biological functionality, serving as sacrificial material, or supporting and providing rigidity to complex constructs. Bioinks are the vital and basic building blocks for the fabrication of 3D bioprinted constructs. Thus, bioinks play key roles in structural support, adhesion, and differentiation of incorporated cells. CELLINK’s bioinks is what differentiates the company from other players in the field and as a provider of completely packaged systems with bioprinters, bioinks, and expertise, CELLINK can establish the standard in the industry.